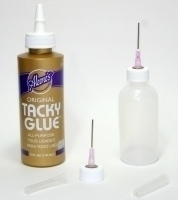 Gaunt Industries, Inc – Aleenes Tacky Glue– manufacturing the original Precision Applicator for over fifty years. Serving hobbyists, plastic craftsmen, artists, machine operators, and other industries Worldwide. With a commitment to quality we supply products for fine oiling, painting, greasing, and cementing.